The commencement to the works at the Broadmarsh Centre were put back by a few weeks. However, in February the new wayfinding signs were finally erected and here some of my images, on the boards outside and internally in the walkthrough before you enter the main lobby. 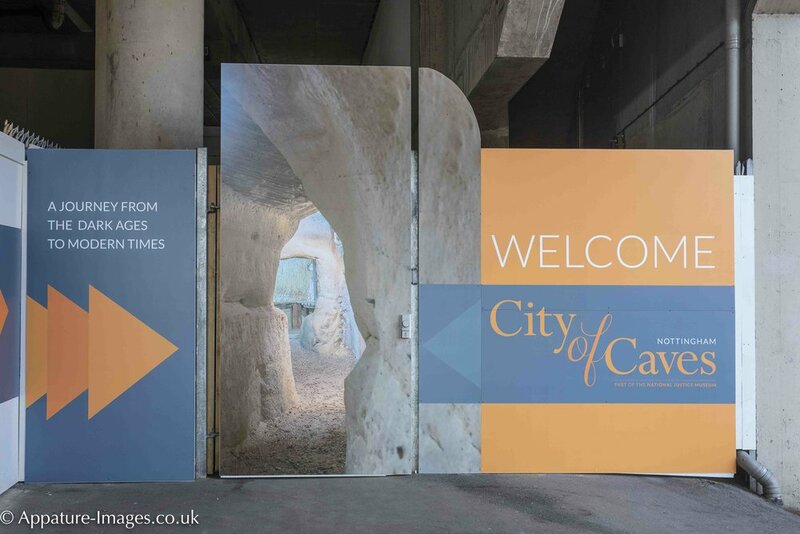 The signs are placed to help visitors find their way to the new entrance to the caves which is beneath the Nottingham Contemporary. It’s estimated that the work will take some two and a half years to complete so the new signage will be around for a little while. If you happen to be in the area or visiting the Nottingham Contemporary you will find all the wayfinding signage at the bottom of the large external stairs. 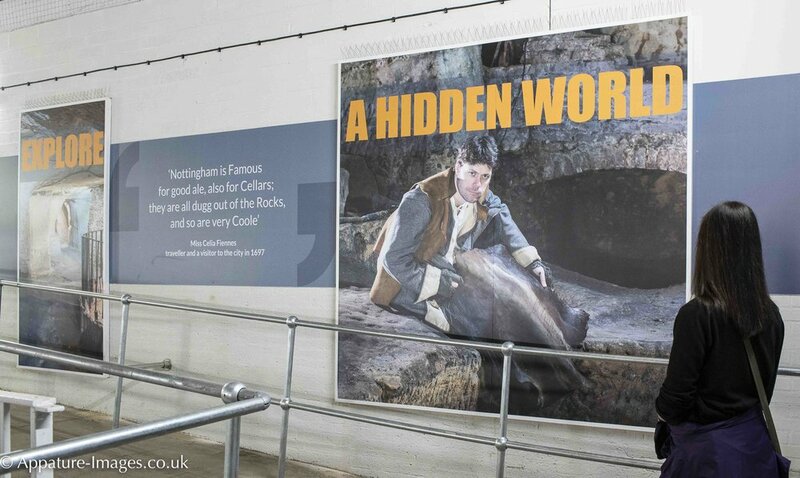 If you have never visited the caves it’s well worth a trip down there and a tour given the extensive history of these amazing human made sandstone caves beneath the city of Nottingham.